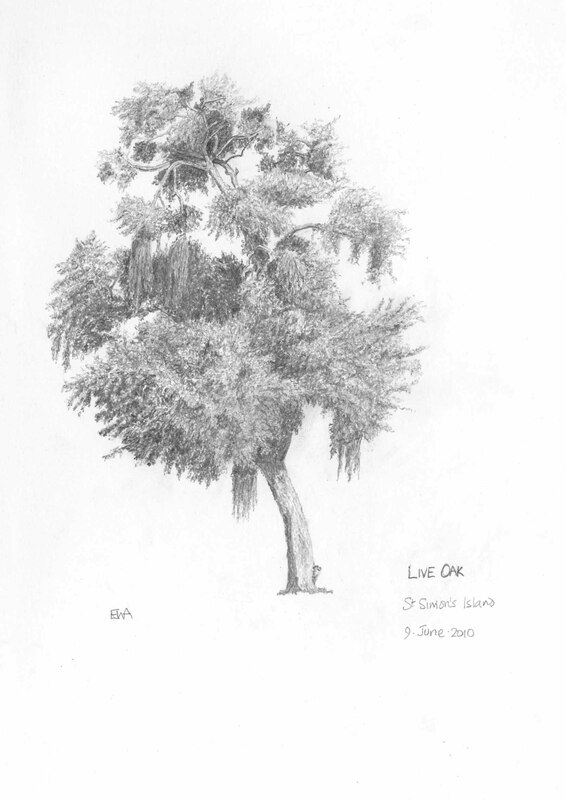 The Live Oak, specifically the southern variety (Quercus virginiana), is the iconic tree of the old American South. When mature, these trees can be of immense proportions, typically over 60ft tall and 80ft wide. 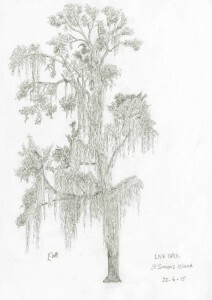 The great branches are commonly draped with Spanish moss, an epiphyte which is neither Spanish nor moss. Live oaks are seen to particular advantage on St Simon’s Island where they were once harvested to provide the framework for the USS Constitution. It is recorded that the British cannon balls bounced off the oak. 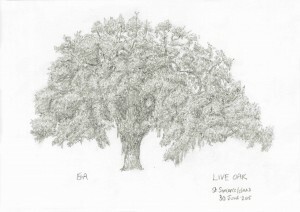 The Live Oak is the official state tree of Georgia. 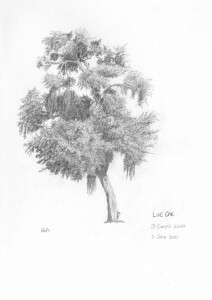 Ewan is fortunate in having been able to spend part of the last four summers on St Simon’s Island drawing these magnificent trees.